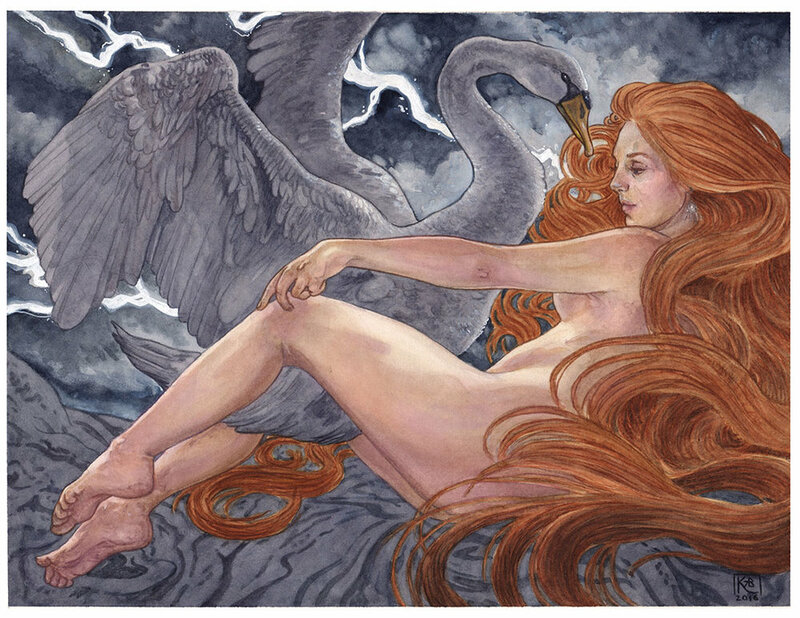 Kat is a traditional watercolor painter who is best known for her work featuring female subjects from mythology. 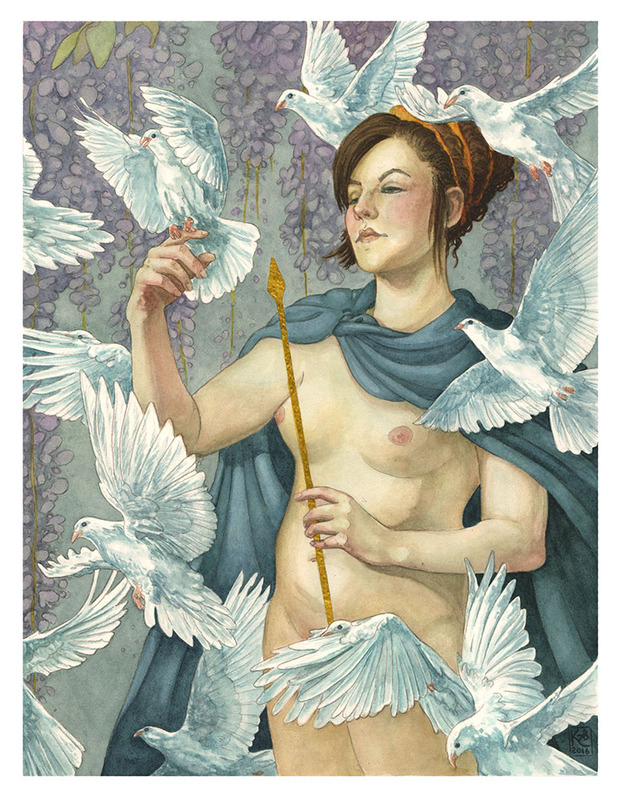 She has worked for a number of clients in the table top, card, and role playing game industries, and has taken part in a variety of group shows and conventions across the USA. 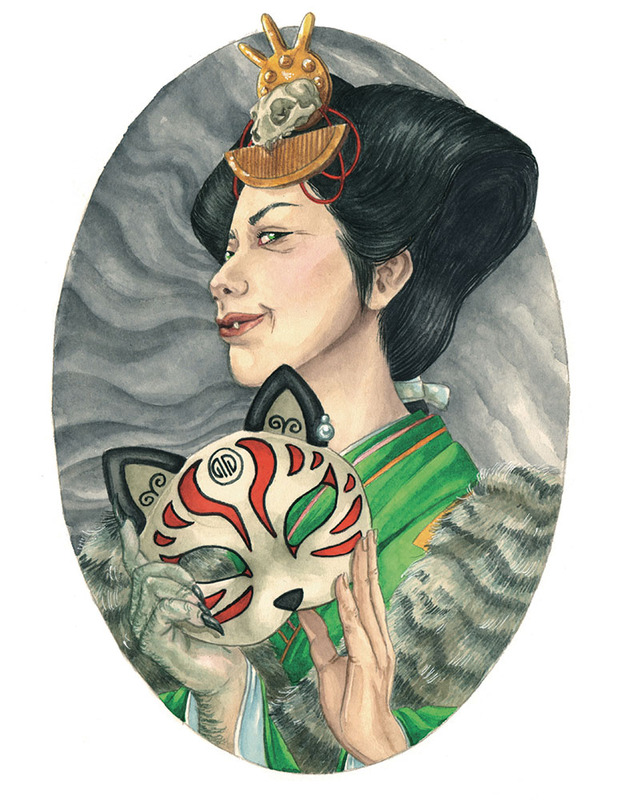 In 2016 Kat moved to Japan, and has been focused on creating a body of work exploring characters from legends and mythology relating to her host country. When she is not working on art, she enjoys bicycling around her neighborhood and exploring local shrines and temples.